At the end of Sept. 2012, ZENITH received an email from Construction Machinery and Equipment Weekly Magazine (hereinafter refers to "CMEWM") saying that they are collecting cover stories from some leading company regarding their capacity on internationalization. 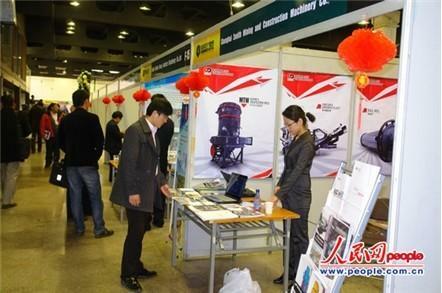 According to the ranking and brand influence in the field of construction machinery, some well-known companies, such as ZENITH and SANY Shanghai received the tickets to the interview. On April, ZENITH was reported by people’s Daily Online, and then on July, ZENITH received the reception of President of Zambia and the exclusive interview of Zambia State Television. In 2012, stepping forwards to internationalization, ZENITH has attracted more and more attention from all fields of community, at the same time, ZENITH keeps playing its role on the global stage as the Imagine of China. Offered olive branch’s CMEWM, also the important branch of Construction Machinery and Equipment Magazine (hereinafter refers to "CMEM"), is a market strategic weekly magazine devoted to China’s construction machinery industry. Founded in 1964, CMEM was the first magazine in china’s machinery field. After a long period of accumulation, this weekly magazine has gradually been among the most important magazines integrating authority, instruction, technology and practicability. At present, with its continuous innovation, CMEM has definitely become the prime choice for top decision makers, customers, experts of relevant association and of hi-tech research institute. "Among our whole strategy, internationalization is of the most importance. We can feel this strategy from our data, saying that 130 countries and regions are using our machines. Besides that, we also try our best to perfect our system, to struggle for our goal, that is making ZENITH to be a leading brand which contains fullest models in the world, and which in an extensively way can meet customers' needs. " This interview of lasting more than one hour mainly focused on ZENITH’s talent strategy, innovation on technology, cooperate culture, chance and venture of overseas market, brand’s shaping and promotion, overseas marketing development mode. During the interview, journalist from CMEWM expressed his great interest for several times upon ZENITH’s innovative culture. At the end of Interview, he made a joke: "Is ZENITH still recruiting? What do you think about if I came to work for ZENITH? " According to the latest news released from CMWM, interviews on ten famous companies including SANY, ZENITH, have been concluded. Relevant highlights and advanced principles will be included in the cover story of the next issue of Construction Machinery Weekly Magazine, which will be published on Nov. Meanwhile, journalist of Weekly Magazine also expressed his impression on ZENITH, "through this interview, we truly can touch ZENITH’s strength and charm. We hope someday we could further interview ZENITH and could conduct the special report upon ZENITH’s corporate culture."